Tasman Belting has more than 50 years’ experience in the Australasia region building and installing conveyor and transmission belting and is also the local distributor of world leader Habasit belting products. Tasman’s particularly close relationships with its customers results in a unique customer-oriented approach to its products and services. 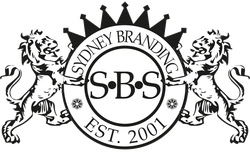 Echoing this was the similarly close service relationship which developed between Sydney Branding Services and Tasman Belting, resulting in unique and effective communications solutions. From unique packaging through to websites and sales brochures, Sydney Branding Services ensured that all marketing collateral was unmistakably Tasman. Aktiv Industrial Solutions is an emerging leading supplier of Industrial Components that are precision engineered and manufactured to the highest possible quality standards.